Julie Peters currently serves as the US University Relations Leader for PricewaterhouseCoopers LLP (PwC) with oversight of all PwC funding and resource support for academia. 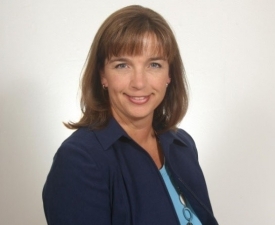 Julie began her career in public accounting in 1989 working in Assurance Services serving clients in a variety of industries and was promoted to manager in 1996. Julie made a career change within her Firm in 1997 when she moved into a Human Resource role. For ten years, Julie managed campus recruiting efforts in Ohio, Indiana, and Kentucky handling all of the entry-level and intern hiring for those offices and leading the firm’s nationwide recruiting efforts for the schools in those geographic areas. 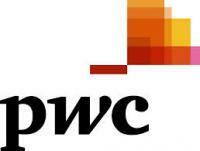 She also assisted with several national programs including PwC’s Accounting & Tax Symposium. In July of 2007, Julie joined the national campus recruiting team as a Campus Programs Manager primarily focused on University Relations and moved to her current role in 2010. Julie is a member of the American Accounting Association including the Audit Section, Tax Section, and the Accounting Program Leaders Group. She served on the Accounting Program Leaders Group board from 2008-2010 and 2013-2015 and with the AAA Advisory Group from 2013-2015. Julie is also involved with the Accounting Doctoral Scholars Advisory Council. In 2012, Julie received the FSA Practitioner Service Award. Julie is a Certified Public Accountant (Inactive) in the state of Ohio. Julie attended Wittenberg University in Springfield, Ohio, and currently resides in Cincinnati, Ohio, with her husband and three daughters. She is the Treasurer of the Margaret Peters Memorial Fund, a cancer charity created in honor of her late mother-in-law. Julie also actively volunteers with her children's’ schools and extracurricular organizations.